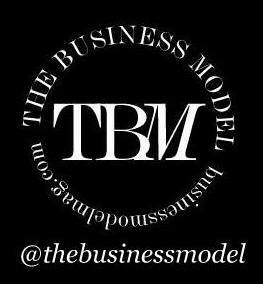 The Business Model (TBM): What was your impression of the fashion and modelling industry before you became a model? How has it changed since then? Ryan Keating (RK): I really didn’t know anything about the fashion industry or have any expectations. I will say that there is so much more work, time, and effort put into all aspects of the industry than I ever imagined. 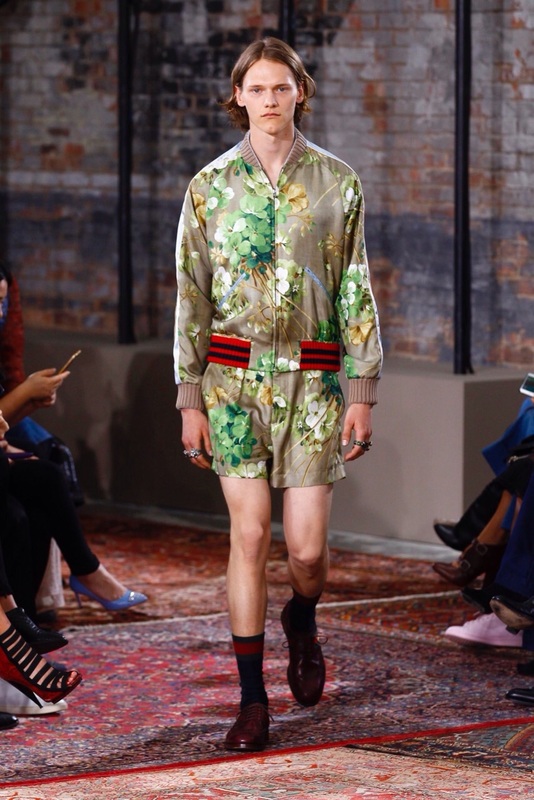 TBM: How would you describe your experience during the S/S 16 Men's shows? RK: Incredible! Working for so many amazing clients, traveling through Europe and to New York, all while seeing friends every where I go. I’m so lucky! TBM: Which was the most memorable show for you? RK: I have to choose two shows and those were Gucci and Fendi for F/W 15. 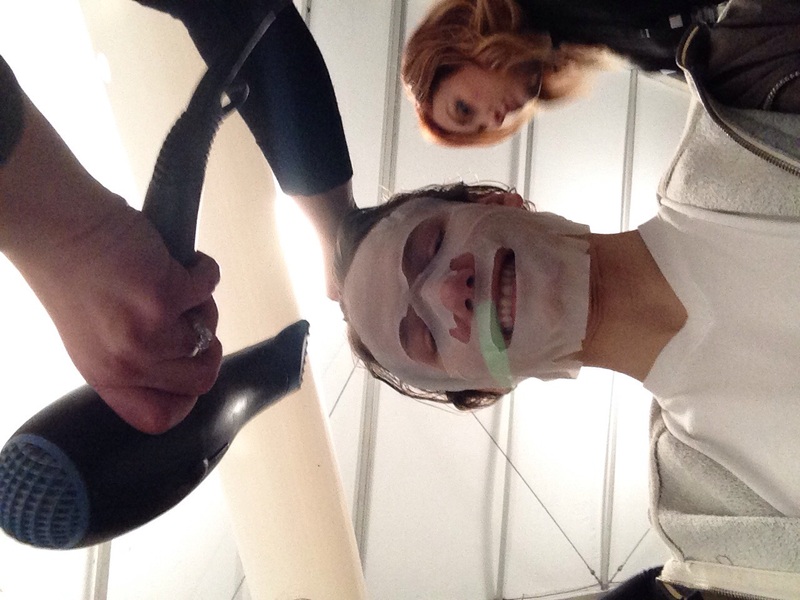 I would have been so ecstatic to walk for either client, but in one day I walked for both. Gucci in the morning and Fendi in the evening. The feeling was pure ecstasy! TBM: What's the biggest difference between working for small clients versus a blue-chip client such as Gucci? RK: The largest difference is the money and budgets, something I was really surprised with was the intimacy Gucci shared with us the models. With Alessandro Michele dressing and styling all of us, I felt so much more comfortable and relaxed around him and the Gucci team. TBM: The modelling industry for male models is significantly smaller than it is for female models. What do you think a male model needs to stand out and be successful? RK: A look will get you in the door of the industry, but personality and genuine kindness will keep you there a little bit longer. No one wants to work with someone who is rude and ungrateful. Have fun! TBM: What do you think you've learned from Asian markets? European markets? RK: The Asian market was the class where I was learning the ins and outs of the industry and how to travel. The European markets, along with New York have been the test where I’ve been applying that knowledge, but I'm still learning something new every day. TBM: Modelling can be very high-risk for editorial-looking models. How do you manage that risk on a daily basis? In long term planning? RK: We always have to plan for the future or a “rainy day” but we must live in the now. I have goals that I’ve set for myself and I think about them every day but I don’t worry about how I will get there. I know that with hard work and dedication now, I will reach my goals. TBM: What advice would you give to potential male models? RK: Have fun, make friends, and enjoy yourself but always have a goal in mind. TBM: What is your favourite market? RK: I loved the time I spent in Singapore. I made great friends, worked with amazing photographers, and traveled to stunning locations for work and fun. TBM: Where are you off to next? RK: I'm in New York now and looking to fly home for a few days of summer family and friends. Ryan Keating is represented by Want Management (Mother Agency), Ave (Singapore), Bravo (Tokyo), Elite (Milan & Toronto), M Management (Paris), Milk Management (London), PMA (Hamburg), One Management (New York). You can follow him on Instagram @keating_ryan.